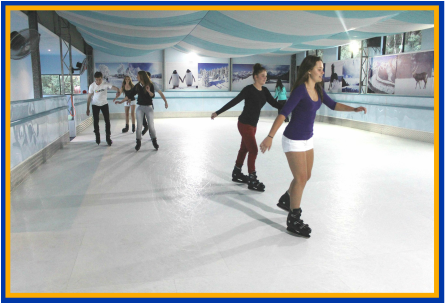 Come and have a blast on our amazing synthetic ice rink! Novice and noble skaters alike, it's HEAPS OF FUN! With regular metal-blade ice-skates, all you need to bring is socks (or purchase socks here).